Iran - Do Changes to its Aviation Landscape Beckon? It has for many years been a market of restricted access and trade activity but for the Islamic Republic of Iran, with relations improving, could its aviation landscape experience change over the next 5 years? Despite having restricted trade with the rest of the world for many years, the range of air services and capacity from Iran to the rest of the world has increased significantly. In 1996, there were 105 city pairs operated from and within Iran to the rest of the world; in 2015 that number has more than doubled to 236 with nearly 130 of those being international services. Despite various sanctions, Iran has experienced more activity in air services than we realise. Looking forward, Iran could be subject to political outcomes and be about to see some changes to its aviation market. If so, what changes could these be? There is a demand for new, more fuel-efficient aircraft to be employed by the local carriers, and if permitted it is likely that they would place an order with one of the major aircraft manufacturers. Actual delivery of those fleets, however, may be some way off given the manufacturers current order books and delivery slots. From a demand perspective, any change in trading opportunities and visitors will all add to the opportunity. With low-cost carriers currently accounting for less than 3% of capacity against a regional average closer to 17%, it would suggest that the aviation landscape may change. 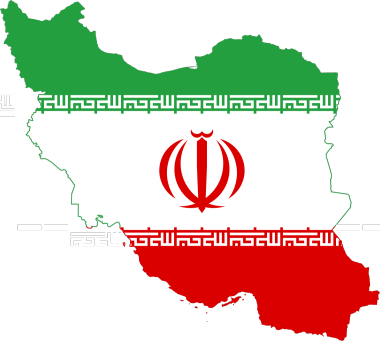 Couple that with the geographic location of Tehran and its resident population of a similar size to major cities such as London and New York, if further political progress is made then Iran may experience a great deal of change from its current aviation market.